Loria took out the ad because he had “sat quietly” for long enough and wanted a chance to respond to his fans about the Marlins losing season and their offseason that included a trade to the Toronto Blue Jays of almost all of the team’s highly-paid star players. To understand the full villainy of Jeffrey Loria, we have to go back in time and realize what kind of a man this is. This is a man that wants to profit from the game of baseball above all else. He feels no duty to his fans and no duty to put a winning baseball team on the field. Loria managed to go from a small stake in the Montreal Expos to convincing Major League Baseball to bring back the Nationals in exchange for ownership of a new team in Florida. He then managed to convince taxpayers to build him a new stadium (with some questionable art choices). Loria has done all this because he is smart and because he knows how to use sports to take advantage of people. Taxpayers are still on the hook for over $600 million of the Marlins new stadium-which checks in as the most expensive of all time-but Loria was able to get it built based on promises that the team would dramatically raise their payroll, put out winning teams, and compete for the playoffs every year. And they did, for about half a season. Jose Reyes, Mark Buehrle, and Heath Bell were the big name free agents signed by the Marlins last offseason. They brought in sparkplug (but World Series winner) Ozzie Guillen and everything looked ready to click. But the season was a disaster, the Marlins went 69-93 and started didn’t even make it a full season before they started to dismantle their team. Star infielder Hanley Ramirez and reliever Randy Choate were the first to go, off to the Dodgers for a back of the rotation starter. 1st baseman Gaby Sachez was sent to the Pirates. Starter Anibal Sanchez and infielder Omar Infante were sent to the Tigers and Manager Ozzie Guillden was fired (partly for his incendiary comments about Fidel Castro in a town with a large Cuban population). The turning point for the Marlins, though was their blockbuster trade with the Jays. Reyes (a franchise shortstop) and Buehrle (a workhorse starter) were sent off, along with ace Josh Johnson, catcher John Buck, and utilityman Emilio Bonifacio. In total, the Marlins trade 12 players from their opening day roster. They took a payroll of $146.5 million in 2012 to an expected opening day payroll of $45 million (the lowest in baseball) in 2013. I’m not here to say trading former stars is never a good idea, but when really evaluating the trades and the returns received, it is obvious that the Marlins were looking to dump salary and nothing more. In the Jays trade the Marlins received several prospects that could see time in the major leagues, but these are not your future Trouts or Strasburgs. They aren’t even future Reyes or Johnsons. In fact, none of the Jays top prospects (Travis d’Arnaud, Aaron Sanchez, Noah Syndergaard, and Anthony Gose) were sent off in the deal. Another highlight is the trade of utilityman Emilio Bonifacio. Bonifacio was set to make around a $2.5 million but could play multiple positions, get on base, and is a threat to lead the league in steals. In short, he is the type of player every GM wants on their team. But it seems that every player making over the minimum is too expensive for the Marlins these days. Loria writes in his appeal to fans that “experts have credited us from going from the 28th ranked Minor League system…to the 5th…Of the Top 100 Minor Leaguers rated by MLB Network, we have six.” This is Loria’s attempt to justify the trade, but it doesn’t hold up. Of the six top 100 prospects, only two were acquired in trades (Nicolino and Marisnick from the Jays). The top two Marlins prospects are outfielder Christian Yelich and pitcher Jose Fernandez, both of which were draft picks that had nothing to do with the trade. Another top prospect was first round pick Andrew Heaney and finally, Marcell Ozuna was a signing from the Dominican Republic. 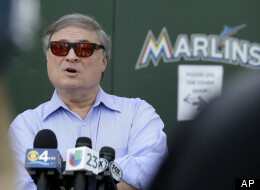 According to Forbes, the Marlins have made a combined $196 million in operating profits over the previous six seasons. For two of those years, the team’s financial documents list an expense for a “management fee” to the Double Play Company in the millions. Take a guess at who runs that company? Jeffrey Loria and David Sampson, the team president. This is as low as it gets. Loria has funneled millions of dollars from his team to his pocket, convinced taxpayers to foot the bill on a new stadium, and refuses to do his job of keeping a winning team on the field. But, hey, now that Frank McCourt is gone, someone needs to assume the role of resident scumbag, right? I feel like I need to issue a disclaimer before this post. The words that are about to follow we’re difficult to write and hard to justify. But it’s important to say that this post will not attempt to serve as an endorsement of Jeffrey Loria. He is doing his best to demolish a fan base, and, short of having a contest where a fan is selected out of the crowd to start in LF, I’ll be surprised if they fill Opening Day. Instead, I’m going to pitch an idea that attempts to explain the rational behind the recent actions made by the Marlin’s front offices. 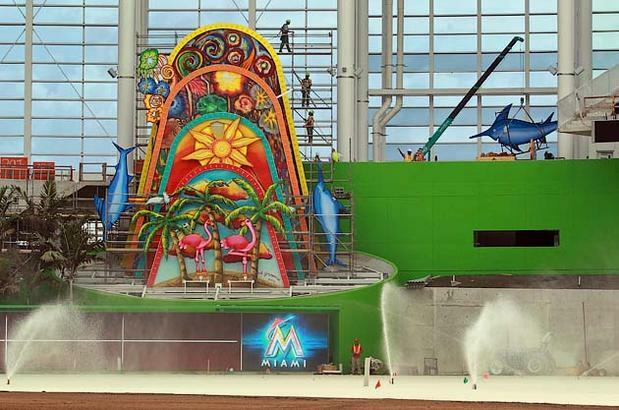 The Marlins entered 2012 with a new stadium, a new uniform, and a lineup full of big names. 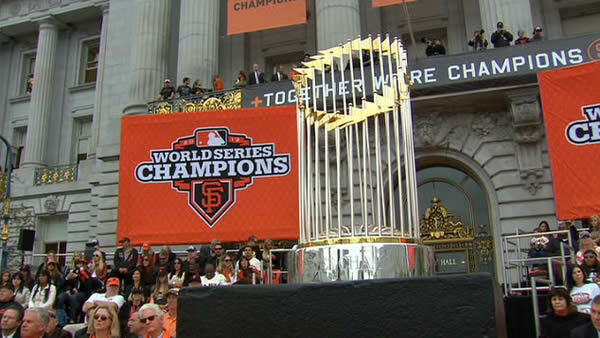 While the lineup was impressive and excitement was at its highest since they won the World Series in 2003, the team started struggling by July. At that point in time, the team had scored the third fewest runs in the game; the team simply wasn’t hitting. A big reason for the offensive struggle resulted from the poor rotation that couldn’t keep them in games. Their starting rotation going into the season was Mark Buehrle, Josh Johnson, Ricky Nolasco, Anibal Sanchez, and Carlos Zambrano. While the Marlins had a rotation of big names, they weren’t performing like it. Plus, none of them could be considered higher than a #3 starter at any point in 2012, and their run differential at mid-season proved it. The Marlins were -66, fourth worst in the league at the end of June. A month later, Loria apparently had given up on the season, and began restructuring. As they traded Anibal Sanchez and Omar Infante, they opened up space for Bonifacio, and picked up a slew of highly ranked prospects, two of which will be starting this year. They then attempted to fix their pitching situation by trading Hanley Ramirez, to the Dodgers for Nate Eovaldi. Up to this point in the season, Eovaldi was performing well, especially for his age. And with Hanley far from his MVP numbers from 07-09 (he hasn’t posted a WAR above 2.6 since), it seemed like a way to add back rotation depth in the short term (Eovaldi could be considered at best a mid rotation guy in the long term) and free up payroll to land another deal in the off season. These two moves we’re strategic baseball moves that allowed the Marlins to give up some big names that were under performing for improvements in their rotation and at catcher. Yet as with all prospects, they take time to grow. And in November, Miami decided they couldn’t wait any longer. So they traded their remaining names off to the Blue Jays for a bunch of no names, with the biggest name, Yunel Escobar, getting shipped off two weeks later. It’s at this point it becomes hard to justify Miami’s actions, if only for the minuscule haul of talent that they received in return. (I think more of the blame should be placed on the catatonic commissioner, but that’s for another time). As my colleague points out there are major flaws in Loria’s argument that the Marlins have one of the best farm systems, but when you consider five of the farm system guys they traded for last season were highly touted in 2012 and are now starting, he does have some truth to the argument. As for the stadium, it appears that the $161 million Loria mentions is a little high, the correct number is closer to $125.2 million or 20%. (Link) Even with that, as Loria states the public funded portion of the stadium will be funded by tourist’s traveling to and from the city. In other words, this tax is least likely to burden the citizens of Miami, which should make it a hit with the taxpaying Marlin fans. The only negative effects they will directly face is a shortage of revenues for other commodities they receive from the city. However, tourist taxes are highly inelastic and likely to be a stable source of revenue, and while there is no doubt that it will cut into Miami earnings, the city can easily just raise the tax a percentage or two to make up the difference without upsetting the citizens of Miami. (Plus, the stadium has won tons of awards, which will look great next to the stadium’s $73,000 bobble head display case…I couldn’t resist). With this letter, Loria is attempting to offer the City of Miami an olive branch. Is it a first step? Yes. Does it explain everything that happened last year to the Marlins fans? No. But if he wanted to do that, he should have bought the whole Sunday paper; he definitely can afford it. 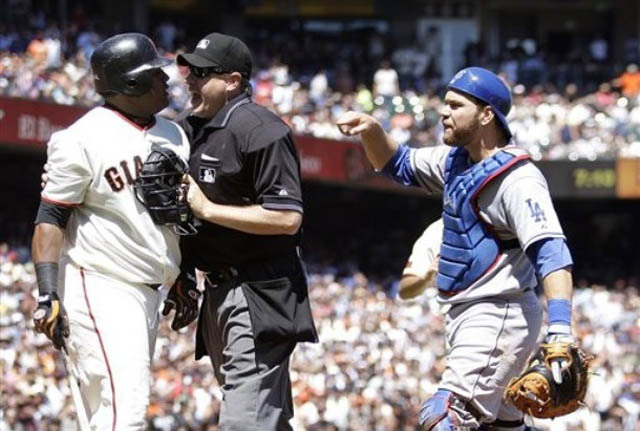 One of the most polarizing arguments within the baseball world revolves around the designated hitter. Created in 1973, this position is the only distinguishable difference between the two different leagues, with the American League incorporating the position. While this discrepancy between the two leagues does not seem to have a large impact on the game, it gives the AL advantages over the NL in nearly every aspect of the game. With this inequality between the leagues, the Commissioner has two options to balance things out, remove the advantages or universally allow them. In other words, the Commissioner needs to decide whether or not to allow or abolish the designated hitter from the game. With respect to the traditional history of the game, it is in everyone’s best interest to fully integrate the designated hitter. As may have been noticed in the recent off-seasons, most notably with the Los Angeles Angels of Anaheim, AL general managers use the DH as a lucrative bargaining chip when attempting to sign high-value free agents. Under the current system, AL GM’s are able to offer longer term contracts to these players, knowing full well that there will be a sharp decline in player performance. However, general managers also know that they can stash aging hitters in the DH role when the time comes (a position that limits the appearance of deteriorating player abilities). That’s not to say that these long-term investments are/or aren’t wise, that’s the basis of another argument, but it does display the thinking of American League GM’s, which for the Angels, has lured two of the best hitters to Anaheim in the last two off-seasons. The incorporation of the designated hitter into the NL will remove the AL advantage of signing top-tier hitters, an adjustment that would most likely have left Pujols in St. Louis. Managers also appreciate the DH because they are given greater flexibility in their lineups. In the AL, coaches are able to stash one more powerful bat or speedster on their bench, even if that bat comes with a defensive liability. They can also use it to keep their bench involved in a manner far more inclusive than the current NL pinch hitter. If a manger chooses to rotate through a couple bench DH’s, these players will continually see game time reps, reducing the amount of rust they develop on the pine. The DH also allows managers to give players more frequent rest by having players play one side of the ball, while still contributing to the game. This helps to maintain player health and allows injured players to have another stepping stone in rehab when they return from injury. While some may argue that the expansion of the DH will kill the “small ball” style current used in the National League, consequently rendering the manager useless, the opposite appears to be true. If anything, the manager’s role is expanded with the addition of an additional hitter in the lineup. More emphasis is placed on lineup creation, as different DH’s can produce different results. High OBP/power guys can help create run production, while speedsters will be able to do the “small ball” moves typically done by an NL pitcher in the nine hole. However, when comparing the speedster to your standard pitcher, the speedster poses a stronger threat, with his ability to beat out throws in the field and on the base paths. Thus, the elimination of the “small ball” style of play is not in the hands of the commissioner and his handling of the DH, but rather rests with the mangers and their use of the DH position. Players will appreciate the full incorporation of the DH because it offers job security with the longer contracts listed above, and more ability to rest and/or recuperate. That’s not to say all players will approve of the incorporation of the DH, as pitchers will see their stats rise. However, this can more appropriately be called a normalization. Under the current use of the DH, pitchers in the AL are forced to face one more bat in the lineup, and this additional hitter results in higher ERA’s, lower IP, and higher WHIP’s. These numbers do have some weight in contract negotiations, and when AL pitchers are compared to NL pitchers, it leads to questions regarding the quality of the pitcher. However, if the designated hitter were expanded to the NL, pitchers in both leagues could be evaluated on a more level playing field, as this discrepancy would be eliminated. Furthermore, pitchers would no longer have to worry about developing injuries in the batter’s box or on the base paths, resulting in improved long term health. While pitchers might disapprove of the uptick in offensive production, fans would not be opposed to the greater possibility of home runs. This offensive uptick will not entirely remove pitcher duels, or pitching gems either. In fact, 7 of the last 10 perfect games occurred in the American League. Thus, while there is an increase in offense, which can result in a greater fan experience, it does not eliminate the possibility of great pitching matches. While the designated hitter breaks off from the traditional understanding of baseball, it serves to improve the baseball experience for all parties involved in the game. If something were to improve the game of baseball in such a way, why shouldn’t it be incorporated? 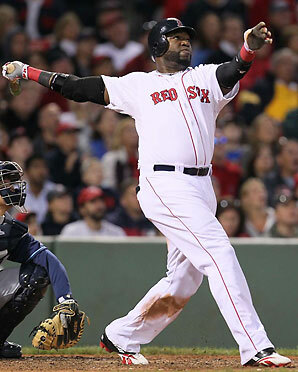 David Ortiz is an example of the type of player who has benefited from the DH rule. Why shouldn’t the DH be incorporated? Because not only has it limited innovation and strategy, but it gave birth to the steroid era and glorified those that were ruining the integrity of the game. With the switch of the Houston Astros to the American League and the change in schedule so that Interleague play takes place throughout the course of the season, the next step is to institute a DH in both leagues. However, the DH represents everything the game of baseball should be moving away from, and should it be instituted in both leagues, will make managers and strategy a thing of the past. The DH is bad for the game because the steroid era was bad for the game. Monetarily, the owners made a killing with the renewed interest from fans interested in the home run races, but when it came out that these former heroes were just cheaters, the game was forever tainted for many fans. While the DH was first instituted in 1973 and many of the steroid users were in the National League, the DH characterized a change in what baseball was about. It put power over drawing a walk or stealing a base. Individual glory over that of the team. The DH characterized all of these traits because it showed that you could make a living playing baseball as a power hitter and nothing else. You didn’t have to field, you didn’t need to know situational strategy. If you could hit home runs, teams could find a place for you in their order. And is it any coincidence at all that about 25-30 years later baseball endured its worst scandal in its history? Is it any wonder that these athletes acted selfishly and took PEDs to give themselves more power? Baseball players grow up idolizing the players that came before them. Kids watch the pros and want to be just like them. So when the switch over to the DH took place a whole generation of young players grew up under the “new” version of the game. The version that rewarded power over everything. The version that showed players making the big bucks for hitting homers. And when it came down to it, young players were willing to do whatever it took to up their numbers and their glory. From an owner’s standpoint, the designated hitter makes sense. He doesn’t have to risk the health of his pitchers by making them run the bases and bat and ticket sales go up by advertising towering home runs and more scoring. But for the true fans and the students of the game, the DH is not much more than a cheat code. The DH allows a manager to just insert a hitter that cannot field into every lineup. It also means that late in the game, there is less intrigue or strategy, as it erases the need for double-switches or pinch runners. The players on a bench are changed from defensive specialists and runners to utility players that are there to give the normal starters a rest. In essence, a manager can draw up his lineup card, and then not make a single switch for the entire game. My alternative: Raise the size of active roster from 25 to 26 players. Not only does this allow for managers to have one more guy to fit their style of managing, be it a speed specialist or an extra reliever, but it also makes the players’ union happy since they get to have more players in the majors making money. With an expanded roster, teams would still be able to have that extra power hitter if they chose, but he may be relegated to a late-inning pinch hitting role instead of getting 4 at bats a game. If anything, this will actually increase the possibility of late-inning heroics and fans will get their intrigue while TV stations get their ratings. Most happy with this change will be the managers, as most managers live for the matchups and substitutions that they can make late in a game to give their team the best possibility of winning. The designated hitter should be done away with altogether and an increased importance placed on all aspects of the game. This is not football where there is an offense and a defense. Baseball players are athletes and must be able to play all parts of the game. That is why baseball is the hardest sport and why it is the best.